To help us get through the next couple of colder months, dandyhorse is profiling cyclists from around the world! Folks who love to cycle here in Toronto and further afield will give us insight into what it's like to cycle in their cities. 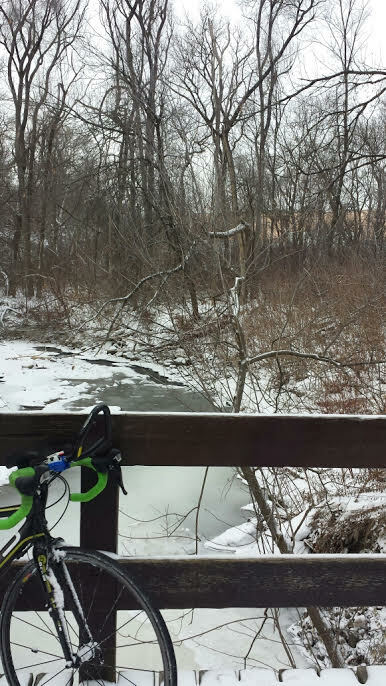 What do you wear while winter biking in the 'shaw? Here I am in my current cycling outfit mid commute. I'm not one to like wearing bulky layers so today I really felt like a Sherpa. It was a chilly day so I had to layer up. My base layer is an Icebreaker shirt with longjohns and wool socks. I'm running out of appropriate clothes to wear so I feel like I am just putting on anything these days just to keep the heat in. 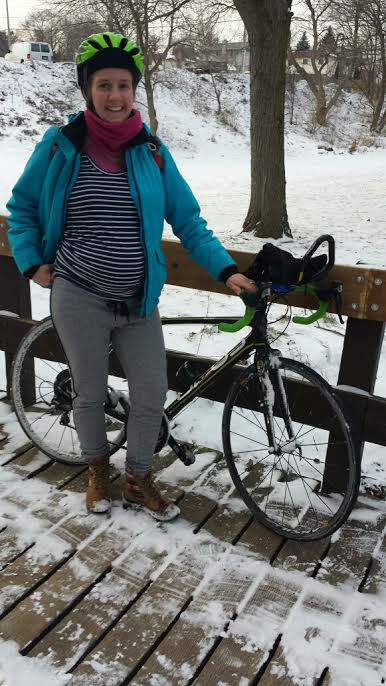 I really wish they made maternity cycling wear for all seasons. I am now 20 weeks pregnant and doing really well. Though today I noticed a bit more difficulty with the structure and fit of my bike. My handlebars need to be moved up to accommodate my growing belly. I need to ride more like Mary Poppins. Another challenge is that I am starting to feel a bit more winded especially on hills. However if I take my time, it feels a lot better. I remind myself to leave early for this reason. What are the bike lanes and roads like in Oshawa for bikers? 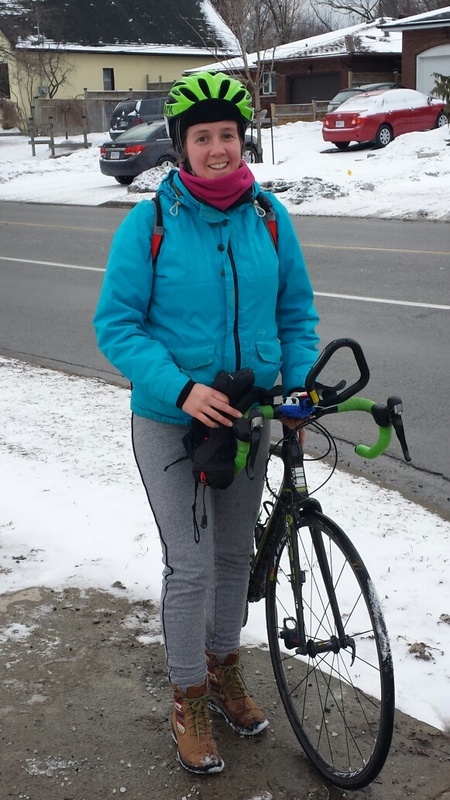 The roads can be quite frustrating for cyclists in Oshawa when they are left unplowed. This road (above) forced me to ride in the car lane. Good thing it's not a busy road. 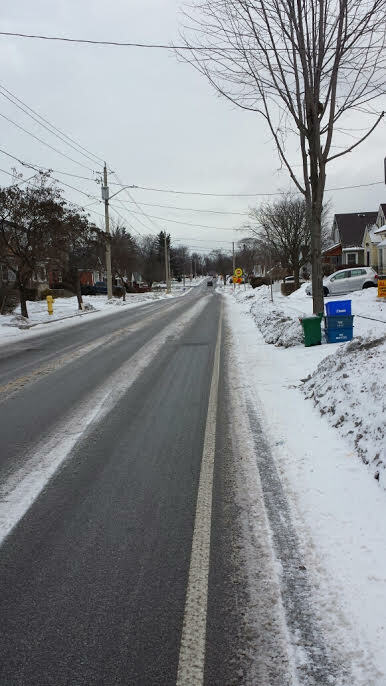 Here's another example of bike lanes left unplowed. 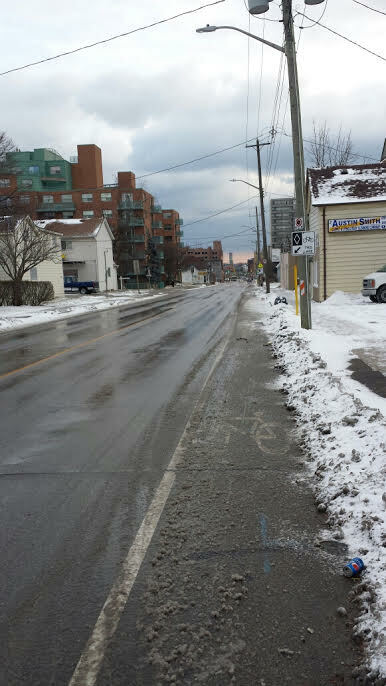 I often find snow accumulates day after day in the bike lane. Eventually it turns into ice. What's your favourite place to ride in Oshawa? I usually take this bike path because it is beautiful. This is a common spot to see rabbits, squirrels and beautiful foliage all year around. 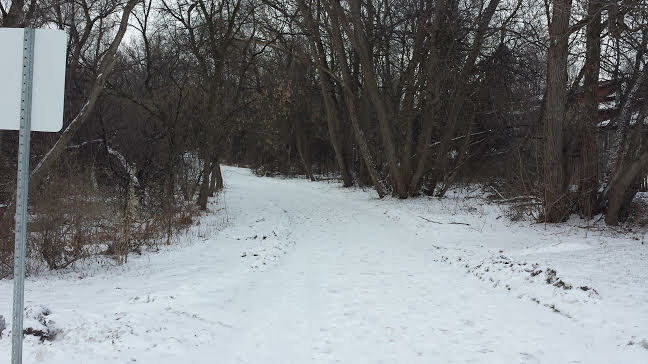 I didn't ride the trail today because it is not plowed. I walked it so I could show you its beauty. Again, this is (usually) the favourite part of my commute. It's the most relaxing. In the spring, this trail is lined with fiddleheads which make a great treat for dinner. I usually stop to pick them here. Here I am just as my commute ends. I had yet another gorgeous ride with my daughter. I like to think she really loves cycling already. Time to have our traditional post-ride snack of warm blueberries.